A first-term MP will lead the main opposition party's campaign as it heads into this spring's election cycle at the top of the opinion polls. The largest opposition group, the Social Democratic Party, says that first deputy chair Sanna Marin will replace party leader Antti Rinne during his sick leave, which is expected to last until late February. Rinne announced on Monday that he is in hospital recovering from coronary disease, pneumonia, and a hospital infection. After a meeting of party leaders in Helsinki on Tuesday, Party Secretary Antton Rönnholm said that Marin will try to take part in all events that Rinne was scheduled to attend. That includes a planned campaign tour of the provinces in February. 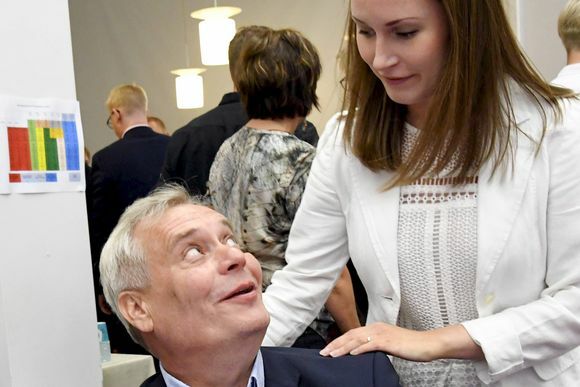 The party – which has consistently led public opinion polls since last summer – will launch its parliamentary election campaign on Saturday in Helsinki. Marin said that Rinne's illness during the campaign has been difficult for the party, but insists that he will re-take the reins as soon as his health allows. She said she has not even thought about whether he should be replaced as leader. "We all now hope that Antti has a quick recovery, that he receives good care and returns to work with good strength and new energy," Marin said. Also potentially standing in for Rinne will be the other deputy chairs, MPs Maarit Feldt-Ranta and Ville Skinnari, and the party delegation chair, Sirpa Paatero. Rönnholm says that he expects Rinne to return to work in late February and that he remains the party's prime ministerial candidate. According to Marin, the main message of the campaign is clear: people's everyday lives. She says that many have suffered due to the current centre-right government's decisions, including students, pensioners, jobseekers and those in ill health. Marin, 33, is a first-term MP and student from Tampere, where she was city council chair from 2013 to 2017.